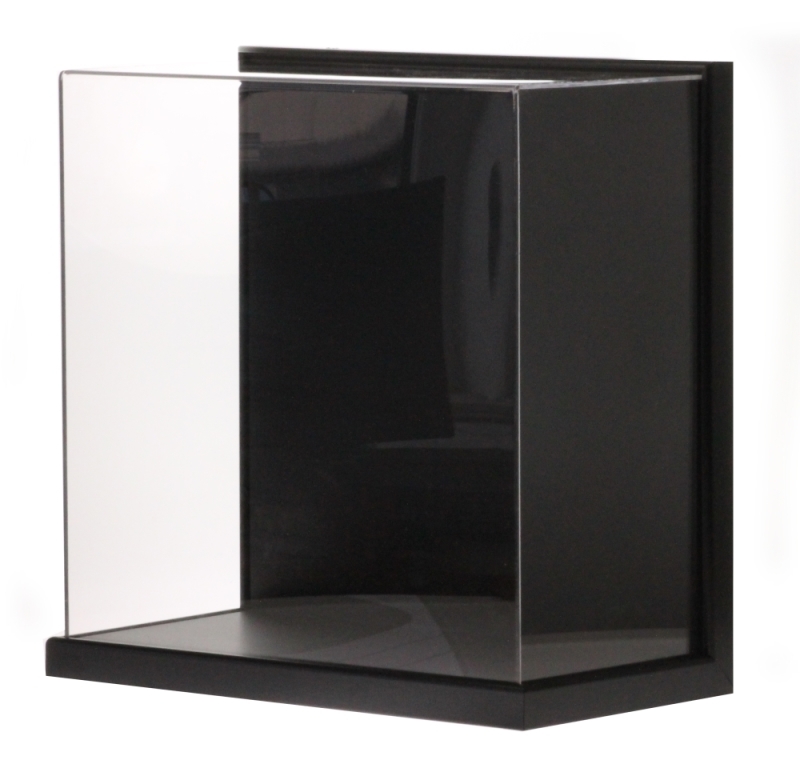 We are renowned for our custom made display cases, and have been supplying them to the trade and general public for decades. If you can’t find the dimensions you need from our standard range, get in touch with us for a quote on a bespoke made case. Measure the outer dimensions of the item you want to display and add 25mm to the sides and above it to determine the internal dimensions of your bespoke case. E.g. if your item measures 300mm x 200mm x 350mm high, the size of case you will need is 350mm x 250mm x 375mm high. The simplest choice for a bespoke case. Typically used by people like Picture Framers who want to create their own base and moulding. Available in white or black, and rebated to give a nice contemporary look, feel, and fit. Choice of Black, Silver, Light Oak, or Dark Mahogany for the base to provide the classic display case look. Can be wall mounted with split batten, jagged edge hanger or other fixings. A clever wall mounting system with L-shaped shelf. 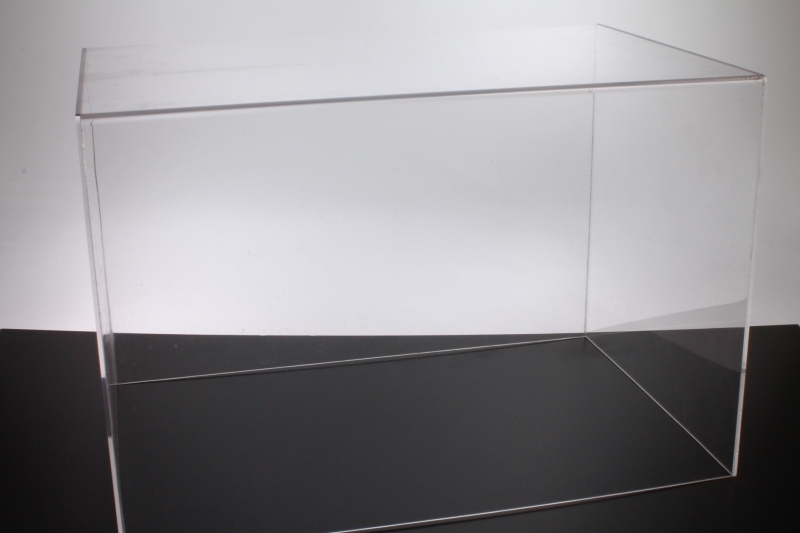 Mount L-shaped shelf in place with display item, then place acrylic on at the end. 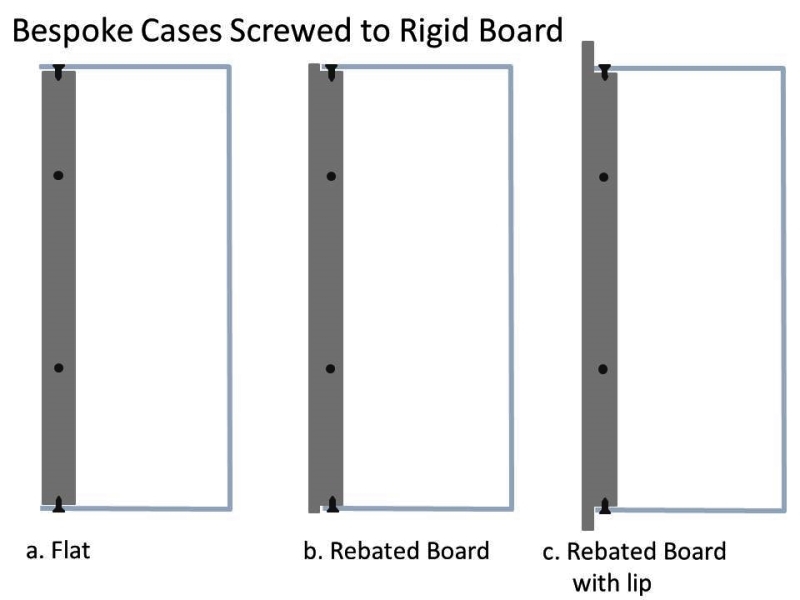 Material used in shelf is rigid PVC foamex and will take a self-tapping screw to mount items. Photos and plaques can be stuck to the back. 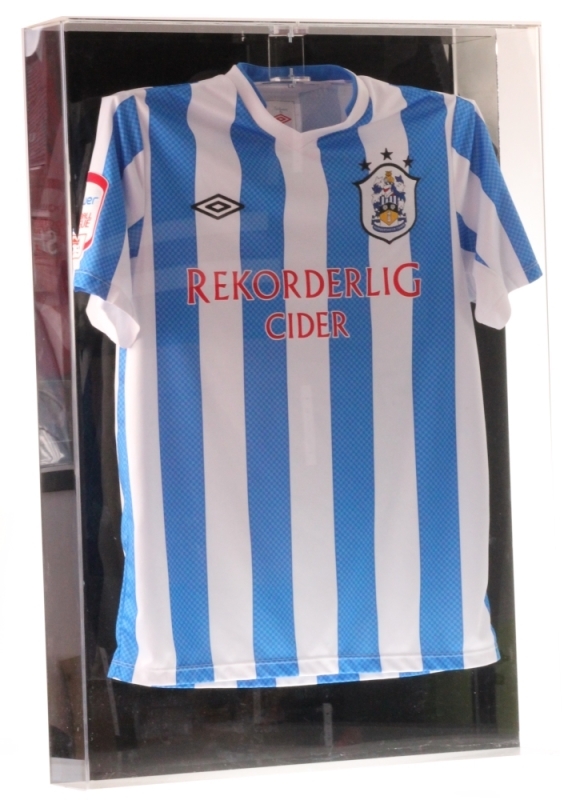 Normally used for shirt frames our 3D hanging case is fully enclosed, apart from the top, which lifts out with the hanger. Could be put to all sorts of uses in different dimensions, e.g. pet collar, war medal, or mini T-shirt. Cuustom display case sized to your requirements ..